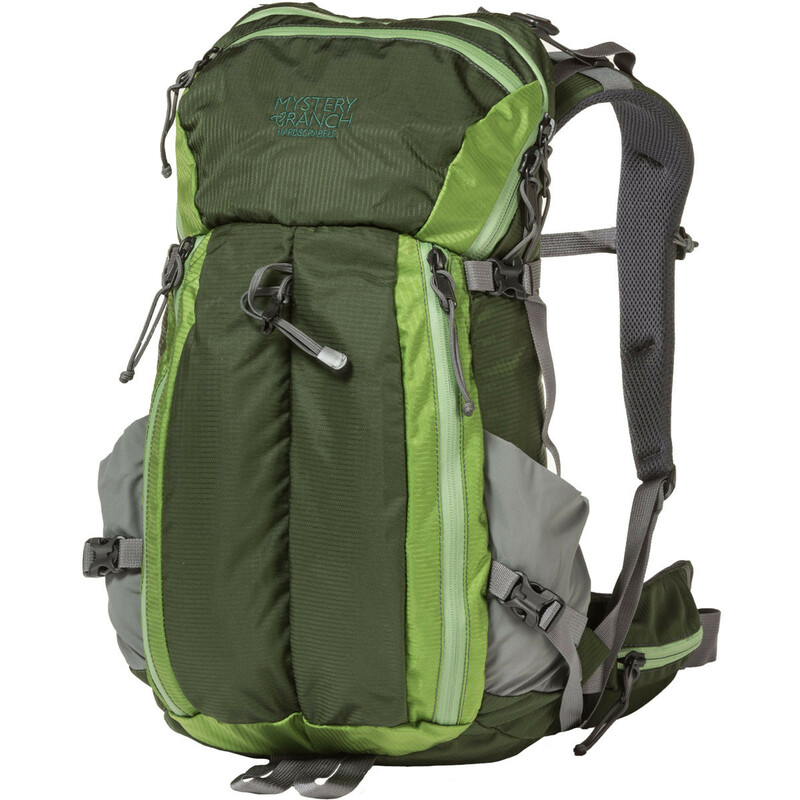 "A daypack destined for mountain adventure. The HARDSCRABBLE features a zippered, top-load design for full access to the main compartment plus a zippered pocket on the lid. The double-front opening allows exterior access to essentials like snacks, headlamp, sunglasses or your stylish beanie. There are side compression straps and water bottle pockets as well as zippered pockets on the waist belt for smaller items you want to access quickly and often. Intended Use: Climbing, Hiking "